Call Now To Discuss Your Insurance Rates With One Of Our Professionally Licensed, In-House Agents. Free personalized assistance from local Portland, Oregon health insurance brokers as seen on KATU News. Featuring health and life insurance for individuals, families, and groups. View online rates or call for assistance choosing a health plan. Our licensed Oregon insurance agents work with all the health insurance carriers doing business in Oregon. Our agents are FFM certified and can help you buy private insurance or help you submit your insurance application through the federal health exchange. View online health insurance quotes and applications or call us today. Using an agent is free to the consumer. The rates you get from us are exactly the same as you would get calling an insurance company directly. All information submitted on this website is private and is NOT sold to hundreds of insurance agents like other sites. Welcome to Portland Benefits Group’s Health Insurance Homepage. We are experts on health insurance for individuals, families, and small businesses. We work with all major health insurance companies in Oregon and our neighboring states. For family and individual health insurance check out our online medical insurance quotes from all Oregon carriers. You can even apply securely through our site. For application assistance call 503-828-1970 to speak with a licensed Oregon agent. If you own a business and are considering replacing group insurance with subsidized individual medical insurance, check out the quotes but keep in mind there are different tax incentives for you as an employer and you should just call us today for a more complete assessment of your plan. Call 503-828-1970 to speak to an agent for free today. One of our friendly and very experienced health insurance agents will take your call. Whether you are shopping the ACA for Major Medical coverage, or are looking for an alternative with broader coverage, we have the options available for you. Protect your income, it’s your most valuable asset! Speak with an experienced agent about preparing for the unexpected. Let’s face it, insurance only goes so far. We can offer solutions to reduce your out of pocket expenses when it comes to actually using your coverage. The Affordable Care Act is confusing and if you choose the wrong plan you could be forfeiting thousands of dollars in government assistance. We can help you understand all of your options under the law, and help you with the application process. It means that we know the Oregon health insurance market like the back of our hand. Remember Cover Oregon? We assisted our clients every step of the way despite the fiasco. Getting health insurance wasn’t easy that year, but we made sure that our clients were taken care of in every way humanly possible. Without a good agent, you may never know about generous government subsidies that can help you pay for your insurance or the variety of high quality and affordable private insurance plans available from national carriers like United Healthcare and National General, the latter of whom uses the Aetna PPO Health Network. Of course, we have PacificSource, Providence, Kaiser, Moda, and Regence and can answer or find the answer to nearly any question you may have about these companies and their networks. Call 503-828-1970 to begin getting more bang for your buck with your health insurance. Your new advisor is only a phone call away. Or, if you prefer that we call you, then please press Get Started to request a callback from one of our friendly agents. As we like to say, the secret to getting good health insurance is having enough coverage to sleep well at night, with premiums low enough to still be able to eat during the day, and choosing the right plan and the right deductible is how you do that. 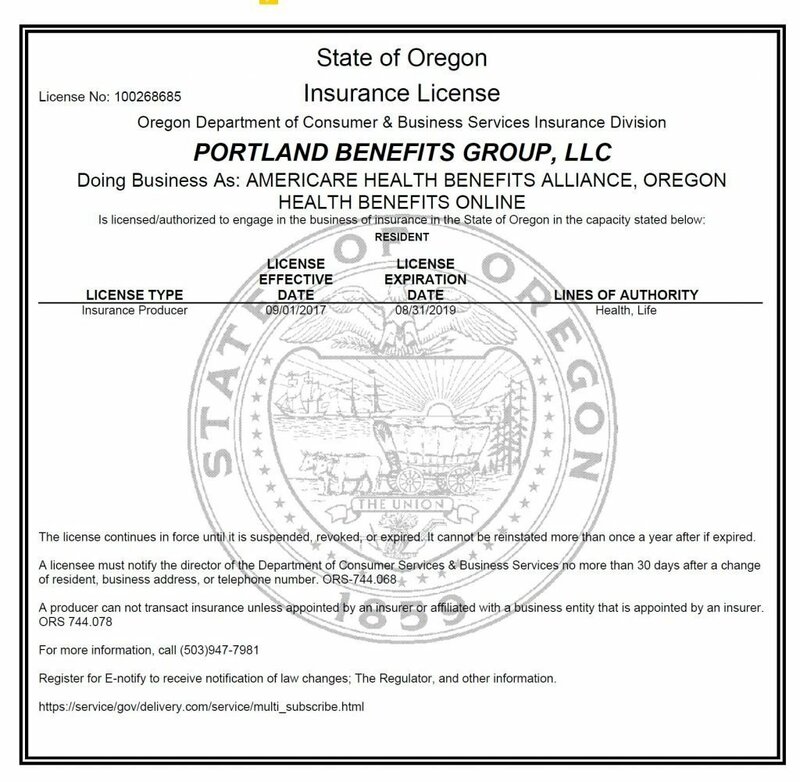 Our licensed Oregon insurance agents work with all the health insurance carriers doing business in Oregon. Our agents are FFM certified and can help you buy private insurance or help you submit your insurance application through the federal health exchange at healthcare.gov. View online health insurance quotes and applications or call us today. Oregon Health Insurance Application Assistance – Visit this page for information and assistance on beginning your application for health insurance in Oregon. We can help you find and apply for private health insurance and/or help you navigate exchange plans through the FFM. How To Sign Up For Obamacare In Oregon – Wondering how to sign up for “Obamacare” health insurance in Oregon? We can help you. Visit our page on signing up for Obamacare in Oregon and we will assist you. Oregon Health Insurance Marketplace – Looking for Information on the Oregon Health Insurance Marketplace, Cover Oregon or soon to be Healthcare.gov? We have information on the marketplace for you. Portland Health Insurance Agent – Portland Benefits Group’s agents will assist you with your health insurance. Call us today at 503-828-1970 and we will assist you. Visit our Portland Health Insurance Page to view quotes and rates and even apply for health insurance. Obamacare Alternatives – Looking for inexpensive alternatives to the Obamacare insurance? If you aren’t eligible for financial assistance and cannot afford the healthcare premiums of a Qualified Health Plan, Obamacare Alternatives page has information on ACA exempt medical coverage such as short-term medical insurance and gap coverage like accident insurance and critical care plans. Excellent accident insurance as well as “critical illness” insurance that delivers a check to you upon diagnosis of a major illness can be as inexpensive as 25 cents per day. Take advantage of our experience and get your health insurance right this year. Our promise to you is to give you the best service and most accurate guidance during every interaction with us. We work with the best of the best, offering many solutions to tailor coverage to your needs. We also are contracting with new carriers frequently and some state specific carriers may not be listed.